There’s a lot of things that Christians do assuming that we have to do them as genuine believers. But what are the bases for these things? What are they grounded in? Are they grounded in anything authoritative such as the Scriptures? Phillip Cary (Ph.D., Yale University) is professor of philosophy at Eastern University and scholar-in-residence at the Templeton Honors College. He has published his critical study of ten things that makes many Christians are concerned to do, some even anxious about–but that you don’t have to do. 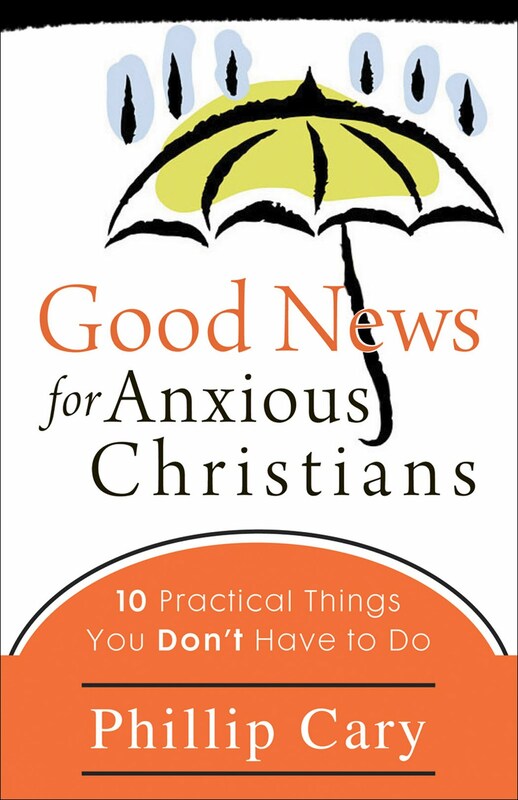 It’s called Good News for Anxious Christians: 10 Practical Things You Don’t Have to Do (Grand Rapids: Brazos Press, 2010). Of course, I don’t agree with every move Cary makes here, but many of his moves are worth every contemporary Christian taking a look at. Have you been worried because you’ve never heard God’s voice in your heart? How many times have you heard “let God take control”? Is finding God’s will for your life at the top of your agenda? These are just three of the things that Cary shows Christians do not have to do, in spite of how much it is taken for granted that we do have to do them. Cary attributes these ten misunderstandings to what he terms “the new evangelical theology” (ix). That’s a pretty broad term that may not actually be the most ideal, but what it does point out is that these mistaken notions are found among evangelical types for the most part, and they are new. You won’t find church figures through the centuries much concerned about these issues; they afflict a small sphere within the historical and geographical expanse of Christianity. And, according to Cary, “they get in the way of believing the gospel” (x). In a paragraph in which he reminds us that the church is constantly to be in the process of reform for the sake of truth, Cary expresses from the outset that he is “trying to preach the gospel of Jesus Christ to Christians. I’d like us all to be free to rely on the gospel rather than put our trust in a bunch of supposedly ‘practical’ ideas that are actually doing us harm” (ix). Cary’s ultimate quest: “to convince you … that these ideas are not really biblical, despite the fact that they are often dressed up in biblical language” (x). Cary has some very important things to show us. It’s time to get back on track with some of the ways we live our faith, and ditch what is unnecessary and even harmful to it in the first place. Discussion of chapter one coming soon.